Say terrorism and the first thing that comes to mind is radical Islamic terrorism; but that is not the only terrorism attacking America, the radical left is also terrorizing us. Islamic terrorists are relative newcomers to the terrorism fraternity, as their brand to afflict political change only began in the mid-eighth century. The art of terrorism, as a political tool, began as soon as civilization spawned political groups, and is still being used today in its many different forms. It is undeniable that somewhere in pre-history someone armed with a horse jaw cudgel crushed the skull of a fellow cave dweller who disagreed with him on policy issues. That victim was probably a leader of a competing power structure in the tribal hierarchy, who lost his head so that the aggressor could demonstrate force to oppose the opposition’s viewpoint, as well as to exert control of his followers. The man with the biggest cudgel got his way and everyone was forced to obey him or suffer the consequences. That is how terrorism works, fear equals power. By the time the Romans controlled the known world, they had been fully schooled in terrorism’s finer points, i.e. utilizing crucifixion as the ultimate form of intimidation. When Mohammad beheaded non-believers and used terrorism to shape the hearts and minds of his opponents, all of the principles of the art of terrorism were old hat. Every king, queen, monarch, tyrant or despot throughout history has utilized terror in one or more of its many forms to control their peasants. By the last half of the eighteenth century, around 1775, the first crack developed in that tried and true method of controlling one’s subjects. That happened in colonial America where a rag-tag group of merchants, farmers and artisans defied their king’s terrorism against them and created a new nation. The ensuing fight against imperial terrorism turned British subjects into American citizens, people who were able to formulate their own destiny for the first time in recorded history. It became known as the American experiment. America’s founding fathers formed this country as a republic, whose guiding platform was a constitution that was carefully written so that no king, queen, monarch, tyrant or despot would ever again be able to wield such control over the population through terror and fear. It remained that way during good times and bad because of all the checks and balances written into the Constitution that protected Americans from any would be power broker. But, in the mid-1960’s, a group of dedicated Marxists began terrorizing America using indiscriminate bombing to obtain control over the population. Those efforts failed famously. Undeterred; however, those violent revolutionaries reformed their ranks, taking a long term view, understanding that first they needed a plan to control a larger portion of the population before they could wrest control of the political process in America. They learned their lessons from their mentors, Karl Marx and Friedrich Engels, in their 1848 pamphlet, “The Communist Manifesto,” and how to organize their political takeover of America from another mentor, Saul Alinsky, whose 1971 book, “Rules for Radicals” was a primer on how to organize people into a communist political movement, without them knowing that it was a communist movement. The use of lies and deception are prevalent in both documents. Alinsky’s primary tools to organize people to his will were to create enemies, real or envisioned, so that followers have someone to hate; and then confronting that enemy. The enemy, of course, was America, and anything American. 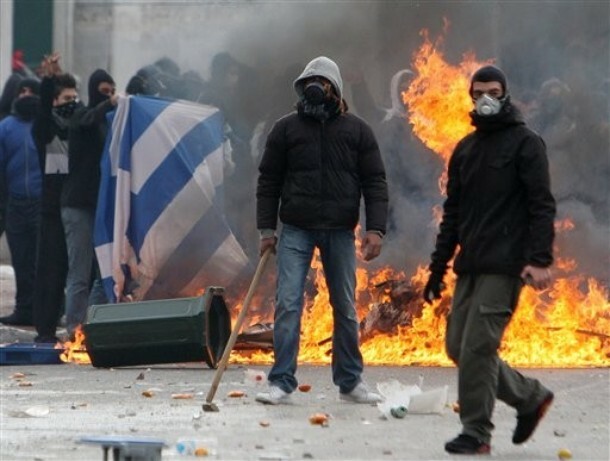 The confrontations became more and more violent; a first step to terrorize the opposition. Think about the Martin Luther King riots in cities across America, those were not spontaneous outbreaks, but coordinated efforts to destabilize this country. Confrontation and violence is the heart of the message. Beyond creating an enemy to fight against, his rules include, making the enemy live up to his own rules, because no one can possibly live up to their own set of rules. Using one’s values against them is a first step to the second, ridicule. Ridicule is a potent weapon to use against your enemy, as is keeping up the pressure on your opponent. Once you’ve humiliated them, don’t let up and give them any breathing room to recover. Threats can be terrifying, Alinsky points to different ways to threaten the opposition into silence, such as causing them to lose their job, reputation, family or freedom. He also directs followers to pick a target, freeze it and make the attack personal and polarizing; then cut off their support network and isolate the target from sympathy. Finally, he instructs followers to go after people, not institutions, because you can hurt people faster than institutions. Alinsky believed that the devil was the first radical, which will explain why he can so easily inflict cruelty and pain on others to gain his own ends. He and his followers believe that the end justifies the means of obtaining that end. It is a primer on the use of terrorizing people, individually, or in groups, to obtain their desire of a Marxist America. If any of Alinsky’s rules seem to ring a bell, it is because those rules are in place against President Donald Trump, and anyone who might help him. It explains why people like Steve Harvey and Nicole Kidman were savaged on social media and in the main stream media (which are an arm of the Democrat Party) for making simple statements to try to get along with our new President. Although words are not a bomb in their sock drawers, the firestorm on social media and in the MSM is enough to terrorize them, and anyone who is watching, into silence. That multi-media blitz against people like them will cost them viewers, income, and jobs in the future. It scares them and all of their peers to death, that is what terrorism does. Of course Hillary Clinton and Barack Obama were staunch adherents of Alinsky. It is why they ran their campaign against Trump the way they did; trying to demonize, ridicule, making negative statements about his character and isolating him against sympathy. It was classic Alinskyism and should have worked, if only Clinton had not been so flawed. The saga of Michael Flynn is a classic example of how Alinsky’s rules work. First Flynn was targeted and made into an enemy of the people when wiretaps linked him to the Russians. Next he was made to live up to a set of rules that cannot be adhered to in today’s political atmosphere; those rules are the ones that set Republicans apart from Democrats. Democrats are never held to the same standards, which is why Hillary can sell 20% of America’s uranium to Russia and not even be questioned about it, or about her role in the pay to play Clinton Foundation while Secretary of State, and the illegal handling of classified information on an unauthorized server; while Trumps alleged dealings with Russian businessmen are attacked daily. Secondly Flynn was isolated from any form of sympathy, removing President Trump and Vice-President Pence from standing up for him by presenting evidence that he lied. Any excuses Flynn made for calling the Russian diplomat were ridiculed and treated as lies. Lastly, after attacking him personally, the left never let up; even after he was fired. Today you can still hear cries for an investigation that may lead to jail time. Were that to happen, terrorism will have won. This same tactic was tried against Steve Bannon and Kellyanne Conway; however, neither attack stuck. They are not yet free, as the attacks will continue. The principal about never letting up is what’s keeping those attacks ongoing. The major difference between them was that Flynn was caught in a lie through illegal wiretapping by the Obama administration, something that he could not shake free of. It was his downfall. The illegal wiretapping and surveillance against Trump (still a developing story which has deep implications), and all of his associates, demonstrates the depths that Alinskyites are willing to go in furtherance of their desired goals. Illegal, unethical, immoral, mean or depraved, nothing is too low to get what they want. This was how Clinton and Obama ran their race against Trump. They dug as deeply as they could, it should tell you how squeaky clean Trump is; because if there was anything against him, it would have been used. Hillary left nothing on the table in her quest for the Presidency. The left’s most effective tool was Trump’s isolation. Through their willing partners in the MSM, the Clinton/Obama camp demonized anyone who supported Trump in the slightest way. It was why so many weak Republicans stepped away from him. That tactic of fear caused them to quake in their boots at the prospect of being demonized as Trump was being demonized. It is still causing some to betray their duties in congress and to stand firmly for what the American people voted them into office for. That success at isolating Trump and his supporters was obvious during the campaign by the lack of signs in people’s lawns. No one wanted to be savaged or attacked by the left, so no one placed a Trump sign on their lawn. It was an eerie sight, so noticeable that anyone looking could see that the terror campaign against the American people had worked perfectly. The only problem was that there were no signs for either candidate. That omission portended Hillary’s doom. Having failed to elect Clinton through intimidation and fear, the left immediately began to organize more terror into America through riots in the streets and instilling a sense of dread about Russia’s connection to President Trump. None of these tactics have so far been successful; in fact, they have had the opposite effect in that the majority of American’s are now so opposed to Democrats, and do not believe anything by the MSM, that they are being marginalized. The tactic of using terror, in any of its different forms, against Americans is fading because the threats are no longer so frightening. People are beginning to stand up to the bullying by progressives and will continue to do so more often as additional American’s refuse to be terrorized. The art of terrorism is alive and well; but like the provable boy who keeps saying the sky is falling, people no longer believe progressives, in and out of the media, warn of impending doom and gloom. This is a lesson that our Republican congress needs to learn, too. In order for America to prosper once again, those tepid Republicans must understand that the only thing they should fear is their own fear of not being reelected. That fear of non-reelection is what the left is striving for, and unless the Republicans overcome it, terrorism from the radical left will have won.